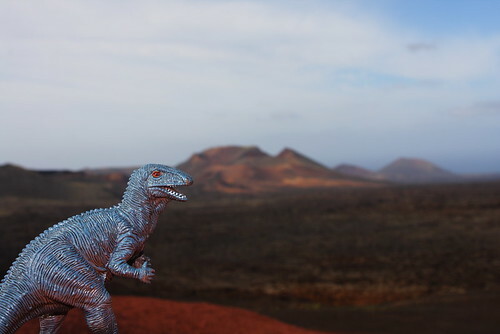 Just back from a jaunt to Lanzarote, where we visited many of the locations of an under-rated classic of avant garde cinema, and certainly one of my personal favourites, One Million Years BC. 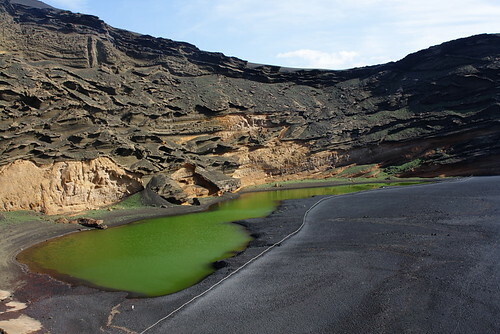 The above Green Lagoon in where Raquel Welch was snatched by the giant pterodactyl. The island is of course also the eponymous setting for one of Michael Houellebecq's minor novels, which forms a natural companion to the above film.